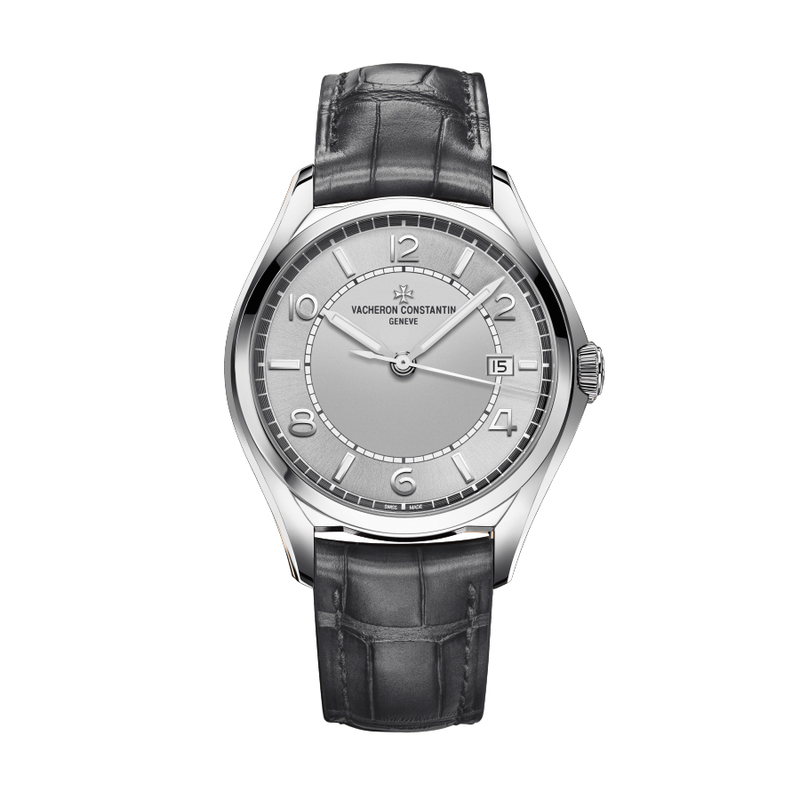 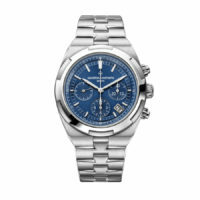 Vacheron Constantin FiftySix Self-Winding (4600E/000A-B442) men’s watch boasts a 40mm Stainless Steel case surrounding a silvered dial on a black Alligator strap with a steel pin clasp. 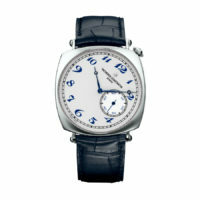 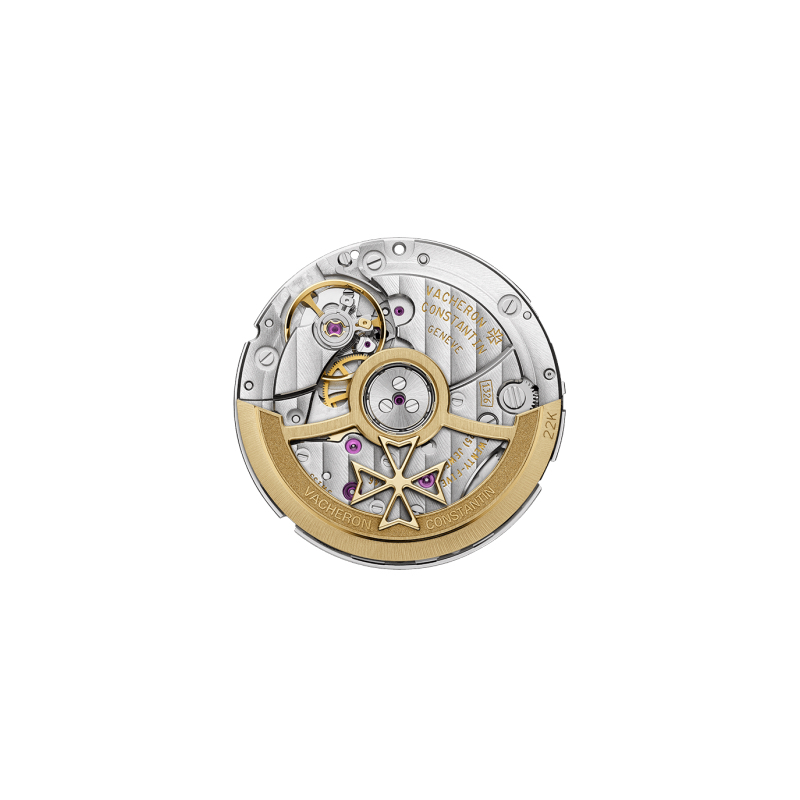 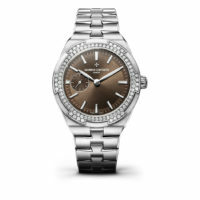 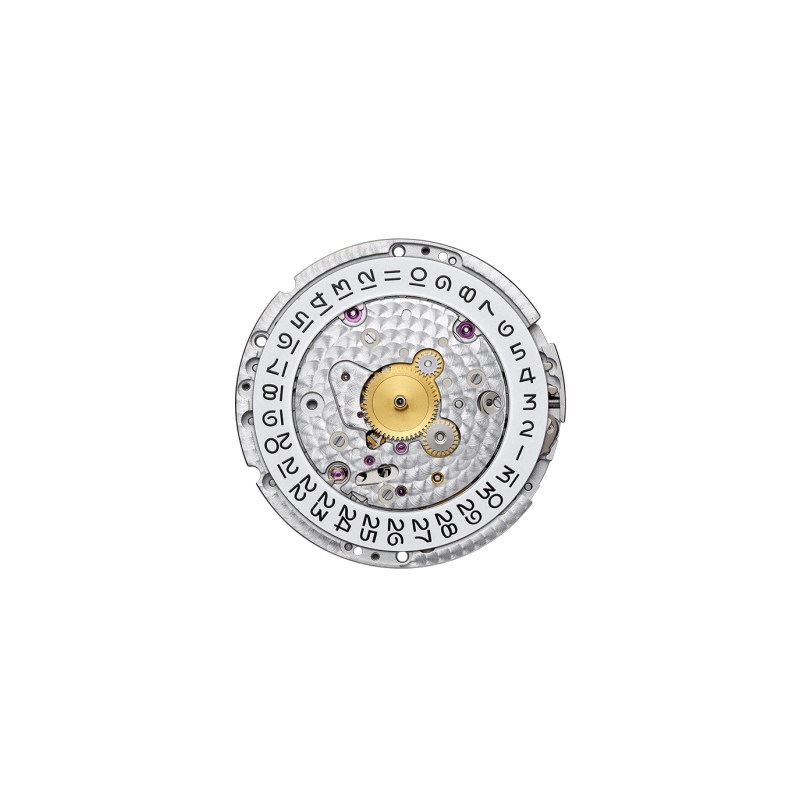 Automatic Caliber 1326 functions include hours, minutes, central seconds hand & date display. 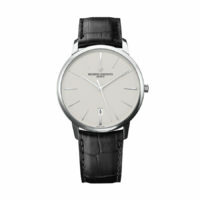 This watch features a 48 hour power reserve and is water resistant to 3 bar.